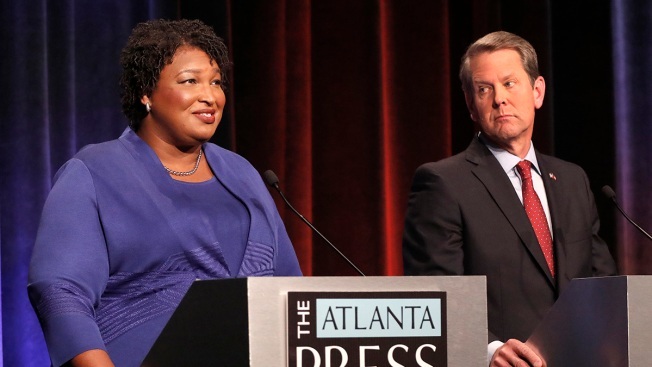 Stacey Abrams called it "a desperate attempt on the part of my opponent to distract people"
Democratic gubernatorial candidate for Georgia Stacey Abrams, left, speaks as her Republican opponent Secretary of State Brian Kemp looks on during a debate Tuesday, Oct. 23, 2018, in Atlanta. Georgia Secretary of State Brian Kemp, the Republican candidate for governor, said Sunday he was investigating the state Democratic Party for an attempted hack of the voter registration system — a claim met with a swift response from Democrats charging him with a shameless "political stunt" two days before Election Day. Kemp, who is in a neck-and-neck race with Stacey Abrams, alleged that the state Democratic Party made a "failed attempt to hack the state's voter registration system," and announced his office was opening an investigation into the party, NBC News reported. 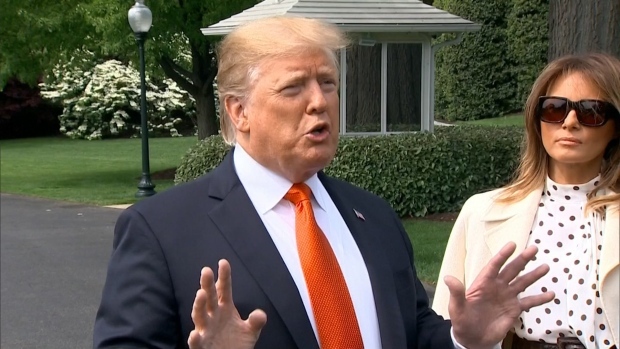 Kemp said his office alerted the Department of Homeland Security and the FBI and offered no evidence to back up his allegation. His office also said no data was breached. Democrats blasted the announcement, which comes amid the backdrop of one of the nation's most fiercely contested races ahead of Election Day on Tuesday. During an interview with CNN's Jake Tapper on "State of the Union" Sunday, Abrams called Kemp's announcement "a desperate attempt on the part of my opponent to distract people from" judicial rulings that had gone against decisions he made as secretary of state, the office that oversees voting in the state.